Abstract: This article examines whether bad upbringing (or what is sometimes called a “rotten social background”) affects just or deserved punishment. There are two possible rationales for this claim. 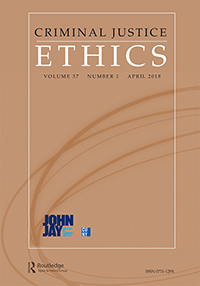 First, it may be argued that an offender’s blameworthiness for his choice to offend is reduced if he had a bad upbringing; second, it may be argued that fairness requires us to impose a less severe punitive burden on an offender with a bad upbringing, even if he is no less blameworthy for his crime. The article rejects both of these rationales.